Skyland Farm made an impact during the Great Charity Challenge, held as one of the featured events of Week 4 of the Winter Equestrian Festival in Wellington, Florida, January 30-February 3. In total, 26 pro-am combinations were paired with randomly selected Palm Beach County charities. Each team consisted of junior and amateur riders competing side-by-side with top professionals. “We Are The World” was the theme of the night, with riders, charities, local families and horse sport fans dressed in support of their favorite nation. In total, the evening’s contributions brought the overall Great Charity Challenge tally to $13.5 million distributed to more than 230 well-deserving Palm Beach County charities over the past 10 years. 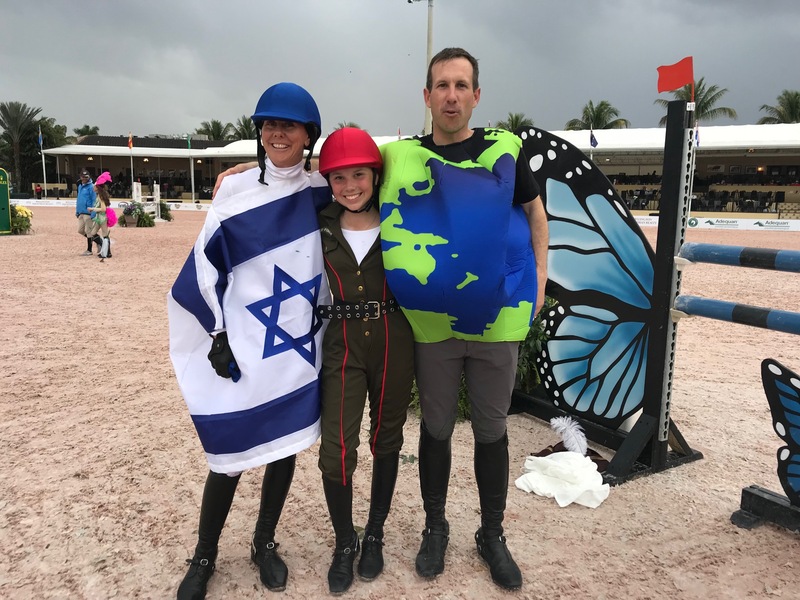 The Skyland team of Junior rider Emma Pell (aboard Santos), Amateur rider Leslie Kopp (riding El Cano) and Professional Andy Kocher (with Colton Playtime) represented Israel for team sponsor Dani Goldstein and Starwyn Farm and corporate sponsor Salamander Farm. “Andy wore a globe for ‘We Are The World,’ Leslie was the Star of David and Emma dressed as an Israeli military girl. They had so much fun and won $17,000 for their charity, Our Sister’s Place!” said trainer Denice Perry. 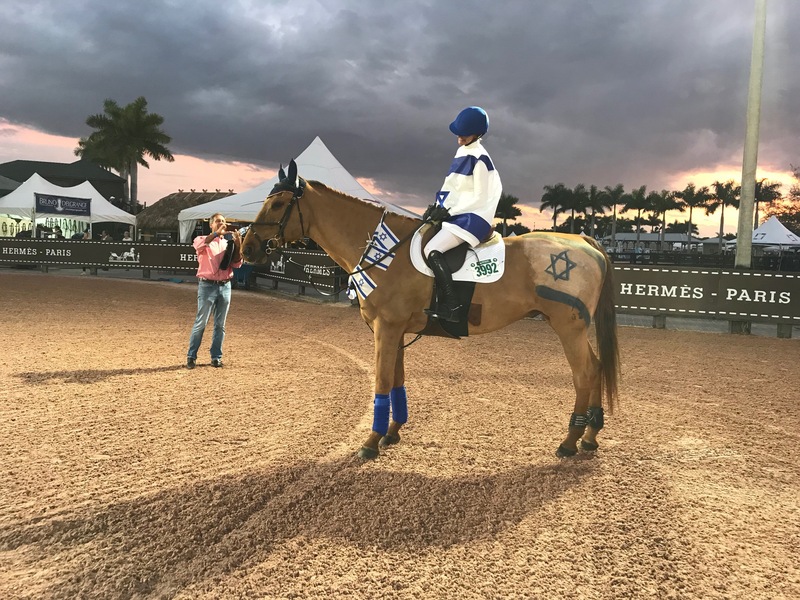 Skyland’s support team of Roy Perry, Kristi Pell, Alex Tippett, Elias Castro and Carlos Gomez helped to prepare the horses and riders, who competed under the lights in the International Ring at the Palm Beach International Equestrian Center on Saturday night. 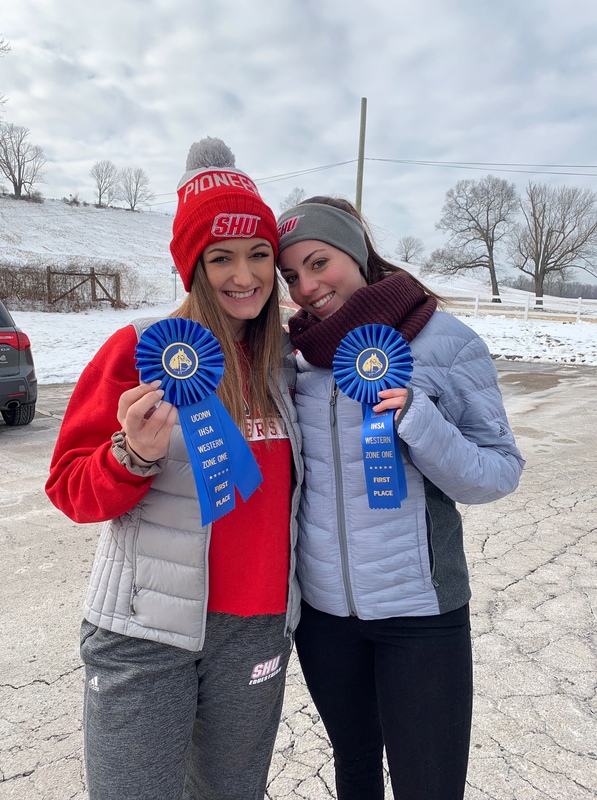 In addition to their performance in the Great Charity Challenge, Emma and Santos placed second out of 63 in a Low Junior Jumper jump-off class and sixth of 78 competitors in a Low Junior Jumper speed class. Emma also piloted Ari 55 to third place in a Modified Children’s Jumper class at 1.15m and will move up to the Low Juniors this week. Fenwick also earned ribbons throughout the week in the Hunters, with owner Leslie Kopp in the Adult Amateurs and with Denice in the USHJA 3′ Hunters. Skyland also congratulates Danielle DeRisio for earning a win in the UCONN IHSA Western Zone One competition! 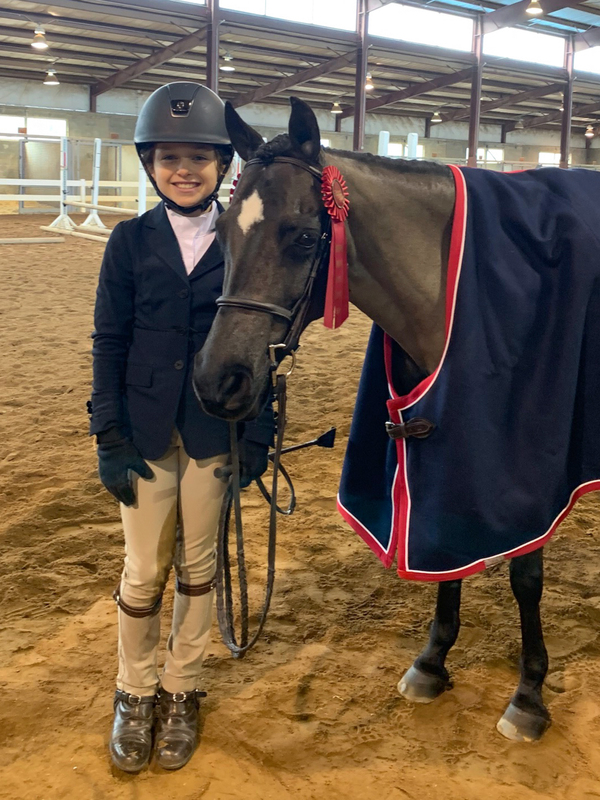 Congratulations to Skyland student Mosie Pennington and Dreamscape for their success at the Stonewall County Horse Show in Lexington, Virginia. Mosie won the USEF Pony Medal and earned two seconds and other great ribbons in the Pony Hunters. Mosie is now qualified for the USEF Pony Medal Final and the USEF Pony Finals this summer! Way to go, Mosie! The Skyland Farm team continued the impressive momentum established during Week 1 of the Winter Equestrian Festival with more great performances during the second week, held January 16-20 in Wellington, Florida. Leslie Kopp and her new horse, Cesar VDB Z, won their first Don Little Adult Amateur Masters class together on Saturday for a wonderful start to their partnership. Leslie also went in just one class aboard Dolce Vita, making it count with a second place out of 40 in the Low Adult Amateur Jumper, 36 and over, section. Emma Pell and Ari 55 won the competitive $2,500 NAL/WIHS Modified Children’s Jumper Classic and then earned the Modified Children’s Jumper championship for a fantastic week. Emma also guided Santos to ribbons in the Low Junior Jumpers out of more than 70 entries! In the hunter rings, Leslie guided Griffin and Fenwick to fantastic ribbons in the older Adult Amateur section, with nearly all primary colored ribbons, including a blue aboard Griffin. 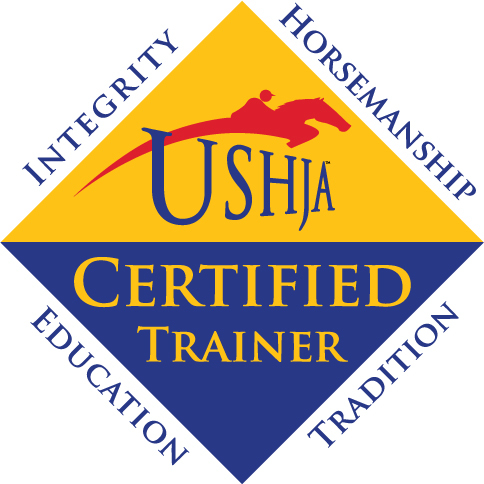 Stephanie Vazquez and Creme De La Creme RLF earned under saddle ribbons at their first week showing in the USHJA and Low Adult Amateur classes. The Skyland Farm team got off to a great start during Week 1, January 9-13, of the Winter Equestrian Festival circuit in Wellington, Florida. Leslie Kopp and the veteran El Cano jumped to two blue ribbons in the Don Little Adult Amateur Masters Jumpers and finished as reserve champions without even doing the Classic! Emma Pell and Santos collected great ribbons in the 1.15m Modified Children’s Jumpers, including a fifth in the $2,500 NAL/WIHS Children’s Modified Classic. The team also picked up many schooling jumper clear round ribbons as a circuit warm up. In the Hunter ring, Skyland Farm’s homebred C’Superman, a 4-year-old Holsteiner (Copperman–Cirena), made his show ring debut in the 3- and 4-year-old Pre-Green Hunters. The talented bay earned ribbons in every class, with superb jumping efforts. Then, he spent some time soaking up the sun in his paddock! The Skyland Farm team enjoyed a successful and fun East Coast Fall Indoor show season in October, with top ribbons from the Capital Challenge in Maryland to the Washington International in downtown D.C.
Emma Pell and Ari 55 made their presence known in the Children’s Jumpers throughout the circuit. A highlight was their fantastic double-clear performance and third-placed finish in the $10,000 NAL Children’s Jumper Final at the Pennsylvania National Horse Show. 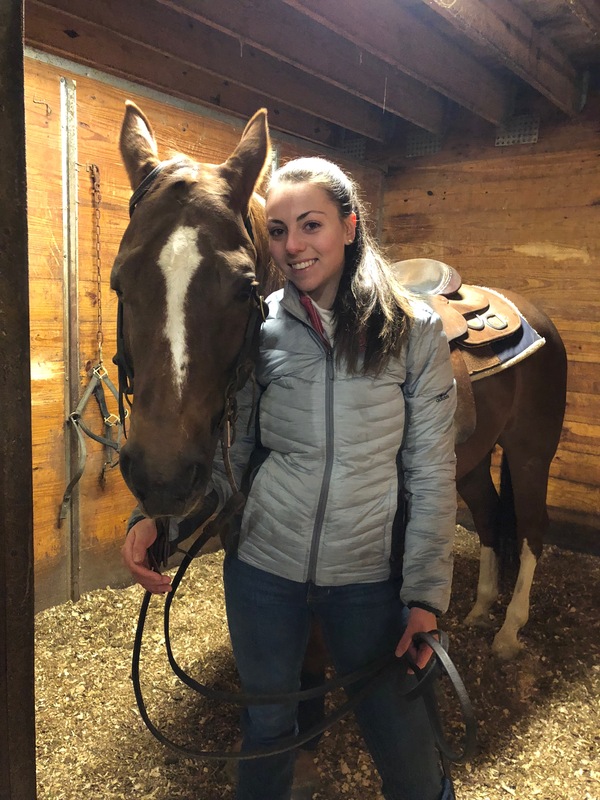 Because Harrisburg and the USHJA Zone 3/WIHS Regional Horse Show in Maryland ran concurrently, trainer Denice Perry and assistant Chiara Carney had to split up training duties. While Denice was anxiously watching the live stream in Maryland, Chiara helped Emma take to the show ring in Harrisburg, where she and Ari were just one of four competitors to jump two perfect rounds. Emma and Ari then traveled to the Washington International, where they once again jumped a clear first round to place fifth in the $10,000 WIHS Children’s Jumper Championship. Mosie Pennington took two tricolors at the WIHS Regional Horse Show when she guided Yours Truly and Oh Good Night to the championship and reserve championship in the Short Stirrup Hunter section. Congratulations also to Leslie Kopp for earning great ribbons in the WIHS and Zone Adult Hunters and Jumpers aboard Griffin, Gone Country and Dolce Vita. Emma Pell’s smile says it all! The Skyland Farm team couldn’t help but celebrate after a wonderful time at the Maryland Horse & Pony Show, held September 13-17 at the Prince Georges Equestrian Center in Upper Marlboro, Maryland. Emma and Thora Pollak’s Rebel Yell swept the Small/Medium Green Pony Hunter classes, even those held under the lights. They also placed second, third, sixth and eighth in the Medium Pony Hunter section, which was held outdoors as well as indoors, and were second in the Green Pony Hunter Classic. Owner and breeder Thora Pollak, of Potomac, Maryland, attended the show to cheer on her homebred 7-year-old Welsh-Thoroughbred cross (Meadowbrook’s Special Edition–Chelsea’s Renaissance). Mosie Pennington also enjoyed a banner show on her ponies. Mosie guided Yours Truly to the championship in the Opportunity Mini Short Stirrup, 8 and under, section and captured the reserve championship in the Opportunity Short Stirrup section with Oh Good Night. “Way to go Mosie! She rode great, and we are all super proud of her,” said Denice. Mosie Pennington and Emma Pell with the “loot” after Mosie won her first Short Stirrup class. Other highlights included Michele Trufant’s Dancing Ollie and Prime Time both receiving numerous ribbons in the highly contested Thoroughbred Hunter sections with Michele and Chiara Carney in the irons. Michele Trufant with 20-year-old Prime Time, fourth in the model! In the Adult Amateurs, Leslie Kopp continued collecting great ribbons aboard her Hunters and Jumpers, including Dolce Vita, F15, Gone Country and Griffin. Additionally, Kaylin Dines and her wonderful mount Why Not were second in the NAL/WIHS High Children’s/Adult Jumper Classic and earned ribbons in all of the jumper classes they contested all weekend! “We’re glad you are back showing. We all missed you!” said Denice. Team Skyland rocked at the Lexington National! The summer show season traditionally winds down during the Lexington National Horse Show in August, and the Skyland Team finished theirs with a bang, earning championships in the hunter and jumper sections. Michele Trufant and Dancing Ollie started the week at the Virginia Horse Center in Lexington with the Thoroughbred Hunter Championship, and the momentum continued on. Chiara Carney and Gone Country captured the highly competitive 3’6″ Performance Working Hunter section. For the first time, Skyland’s homebred full brothers C’Superman and C’Ironman (Copperman–Cirena) spent a horse show together. It was Superman’s first “field trip,” and he couldn’t have been a better apprentice. No doubt his show career will continue on as his brother’s has, with great success. Ironman earned the NAYJDP Jumper championship with trainer Denice Perry aboard. Ironman earned two firsts and a second in the division, including victory in the Style Class. Emma Pell continued Skyland’s championship streak with the Low Children’s/Adult Jumper tricolor aboard Amelie. The pair also won the VHC Low Children’s/Adult Jumper Stake, and Emma picked up top ribbons with Ari 55 in the High Children’s Jumper section. The Skyland Farm team enjoyed two great weeks showing in their backyard, with the Upperville Colt & Horse Show and Loudoun Benefit Horse Show taking place just down the road in Upperville, Virginia, from June 5-18 and the Grafton and Salem Farm Showgrounds. From the Short Stirrup to the the Amateur-Owner Hunters to the Junior Jumpers, Skyland Farm riders took home championships and top ribbons to their home base in Middleburg. Highlights during Upperville included a variety of blue-ribbon results, including trainer Denice Perry’s 5-year-old homebred C’Ironman (Copperman–Cirena) who jumped clear in the NAYJDP Intro To Show Jumping and 1.0m Schooling Jumper classes. 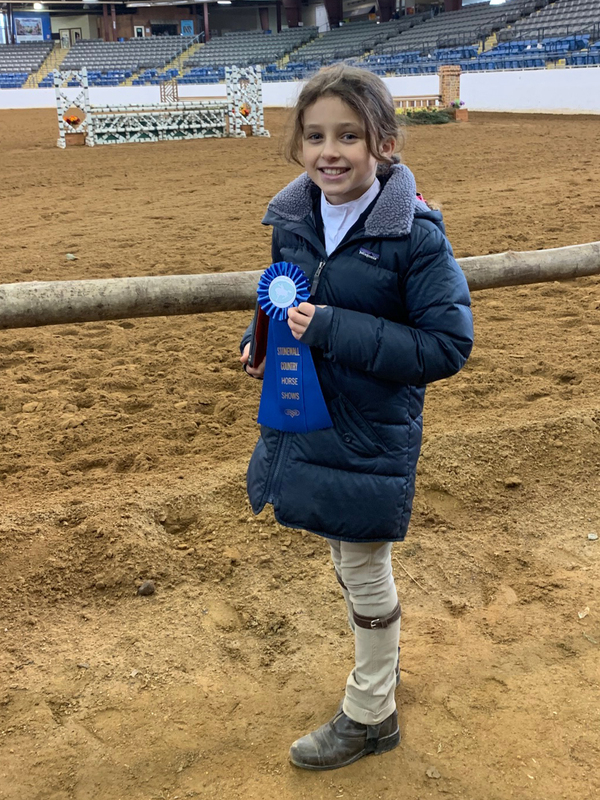 Emma Pell also guided her jumpers to top ribbons, riding Amelie to victory in a Low Children’s Jumper class and Ari 55 to second place in a High Children’s Jumper class. She also earned ribbons on both in their respective NAL/WIHS Children’s Jumper Classics. In the hunters, Leslie Kopp earned top ribbons aboard Gone Country in the competitive 3’3″ Amateur-Owner, 36 and over, section, and Virginia Bonnie rode Jelti JS to excellent placings in the Large Junior, 15 and under, section and also won the VHSA/EMO Hunter Seat Medal class. During the Loudoun Benefit, once again Skyland riders garnered top ribbons in the hunters, jumpers and equitation. Highlights included tricolors for Mosie Pennington and Oh Good Night in the Short/Long Stirrup and Emma Pell and Cedilo in the 2’3″ USHJA Hunter section. Michele Trufant’s Dancing Ollie earned the reserve championship in the hotly contested Thoroughbred section with Chiara Carney in the irons. Emma also guided Ari 55 to an impressive second place in the NAL/WIHS Children’s Jumper Classic, along with top ribbons in the High Children’s Jumper section. Leslie Kopp earned excellent placings aboard Dolce Vita in the Adult Amateur Jumpers, including fifth in the Adult Jumper Classic. After taking ribbons in the Adult Amateur, 50 and over, section at Upperville with Prime Time, Michele Trufant guided her young Thoroughbred jumper Itchy Garrett to impressive clear rounds in the .80 and .90m jumpers at Loudoun. The Skyland Farm team made their Virginia spring show season debut during the Lexington Spring Premiere, held April 26-30 at the Virginia Horse Center. 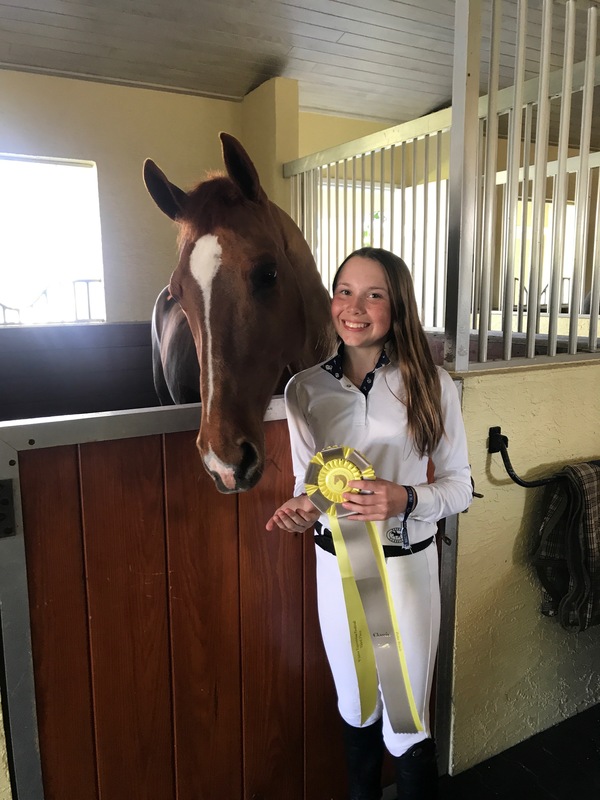 It was ribbons galore from Short Stirrup to the Young Jumpers, and the result of horses and riders taking what they learned over the winter on the Winter Equestrian Festival circuit (Florida) or doing their homework at home and applying their skills to a new show season. Emma Pell continued her success from WEF by earning the High Children’s Jumper championship and reserve titles aboard Ari 55 and Amelie, respectively. Emma and Amelie won the two section classes, with Ari placing second in both. Then, Ari won NAL/WIHS Children’s Jumper Classic to capture the tricolor. Leslie Kopp and Dolce Vita, a newer partnership formed in Florida, showed their consistency by earning ribbons in all the Low Adult Jumper classes they contested. A highlight was their second-placed finish in the Low Children’s/Adult Jumper Stake. Leslie’s Gone Country didn’t go unnoticed in the Hunter rings. With resident professional Chiara Carney aboard, Gone Country took top ribbons in the Green Hunter 3’9″/HP Hunters and also captured excellent ribbons in the 3’3″ Amateur-Owner Hunter, 36 and over, section with Leslie. Michele Trufant’s Dancing Ollie started the 2017 show seasons with a bang, sweeping the Thoroughbred Hunter section with Chiara in the irons. Ollie won all three classes and also had a nice third-placed performance in the Special Hunters. Mosie Pennington and Your Truly collected a multitude of ribbons, from the Pleasure, Equitation and Short Stirrup sections, including three blue ribbons. Trainer Denice Perry showed her 5-year-old homebred C’Ironman (Copperman–Cirena) to impressive rounds in the NAYJDP Intro to Show Jumping classes, where he jumped clear, and they also earned first- and second-placed ribbons in the .85/.90m Jumpers. Skyland Farm welcomes a new foal!